Estelle is a caring, enthusiastic dentist who is committed to providing high quality care. Her warm, chatty and down-to-earth personality immediately puts her patients at ease. Estelle finds improving her patients confidence the most rewarding part of her job. 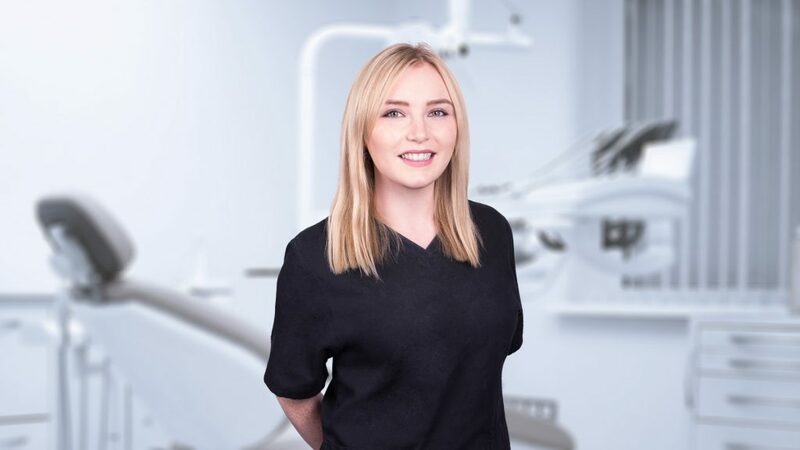 Estelle enjoys all aspects of dentistry but is particularly interested in the more cosmetic options including crowns, bridges, dentures and composite (white) fillings. Having graduated in 2012 with a BDS at The University of Birmingham, she is now currently studying for a postgraduate qualification in restorative dentistry and working towards completion of her MJDF. Estelle has undertaken training for, and offers, Invisalign Go (clear braces) and Quick Straight teeth. Outside of the dental work Estelle has enjoys seeing friends, good food and going to the gym.